#FutureForum is focused on listening to and engaging with millennials across the nation. At each of our visits, we talk with young people about how Congress can best address the issues that affect them on a day to day basis. We take those lessons to Congress in the form of support for existing legislation and creation of new legislation. We also are rolling out policy platforms reflecting the issues that millennials have told us on the road. Read more below! 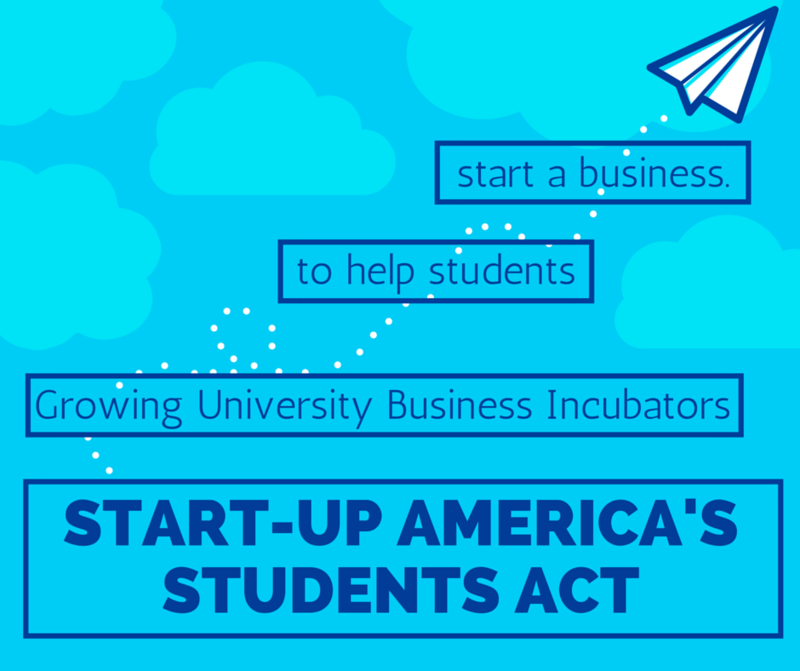 This bill would establish a competitive grant program to provide universities with funds to establish and maintain university business incubators. This bill would reform the Pell Grant system by increasing the maximum amount of Pell Grants, fund Pell through mandatory appropriations, increase Pell grant duration limit, restore year round Pell, and exclude rewards from taxable income. This bill would require the Department of Education to provide a student loan borrower with a personalized yearly update on the different payment options available based on his or her income and debt amount. This update would include the average anticipated monthly payment amount, yearly payment amount, lifetime payment amount, number of months remaining to pay off loans, and amount that would be forgiven under all possible repayment plans. It would also supply the borrower with instructions to switch plans should he or she determine, based on this personalized financial information, that another option may be more beneficial. A companion to Sen. Richard Blumenthal's bill of the same name, this bill would allow new Public Service Loan Forgiveness Program (PSLFP) participants to have their eligible Direct Loans placed in deferment during their public service, allowing borrowers to pause payments while employed in public service. Further, PSLFP participants would receive loan forgiveness in proportion to their years of public service -- after every two years, PSLFP participants would have a certain percentage of their eligible Direct Loan balance cancelled. 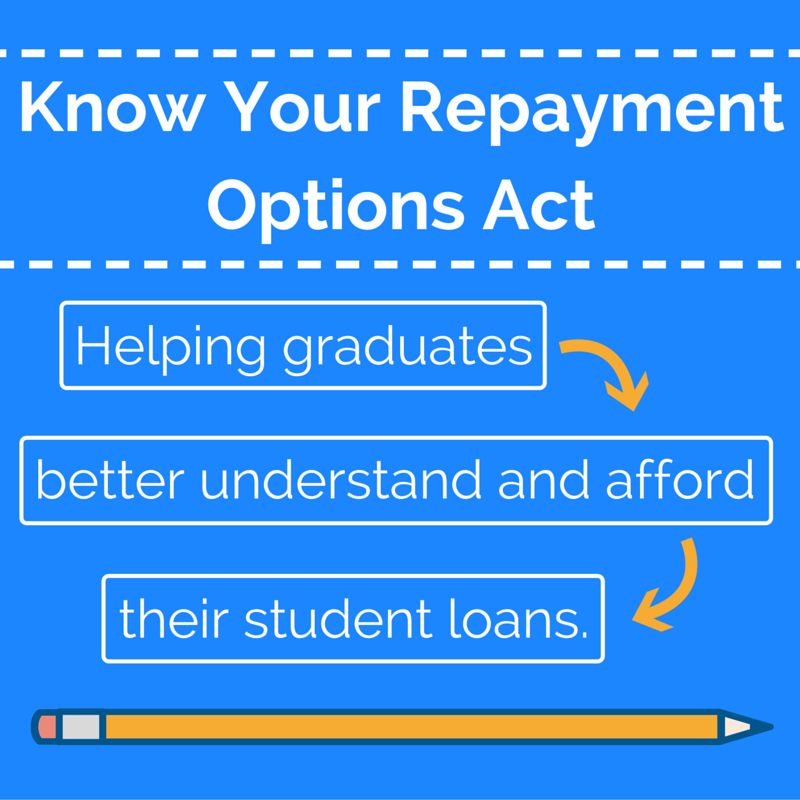 This bill would allow those with student loans to refinance their loans at 3.86 percent. This bill would express the sense of the House supporting efforts to ensure that all students have access to debt-free higher education and to reduce the burden of existing student loan debt. This bill would make two years of community college free for responsible students, letting students earn the first half of a bachelor’s degree and earn skills needed in the workforce at no cost. This bill would restore year round Pell Grants and make them available to both full and part-time students. This bill would expand the student loan interest deduction by increasing the maximum tax deduction for interest paid on any qualified education loan to $5,000. This bill would help ensure veterans are not financially penalized when federal student loans are lawfully discharged. This bill intends to increase small political contributions and reduce the influence of Super PACs.